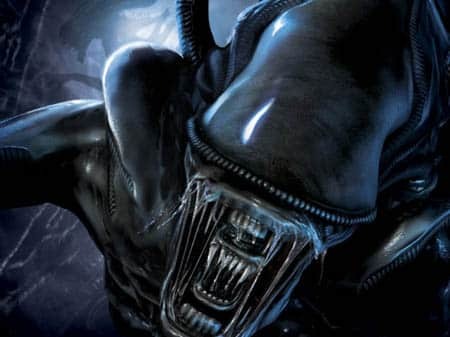 Following the announcement that Gearbox Software’s Aliens: Colonial Marines is headed to the Wii U, Randy Pitchford – founder, CEO and president of the developer – has provided conceptual details regarding their current prototype of the game. The first nugget of information that Pitchford revealed was that the high-definition first-person shooter is completely playable on the Wii U controller with the television off, meaning that you can play through the entire game whilst someone else is watching television. At times, the controller will also act as a motion tracker – something that has long been attributed to the Aliens universe, featuring within the infamous films. This will allow you to track the location of enemies and friendlies, with Pitchford explaining that players may be required to sweep the controller around them as they search for approaching enemies that appear as blips on the display. The Wii U controller will also be used as a fully interactive map in places, as well as providing a mini-game in which players hack doors throughout the game.